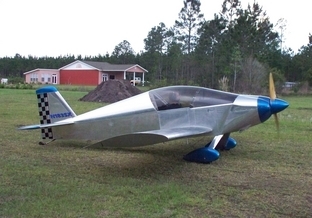 Cleanex History – Dan Weseman built a Sonex airframe (firewall back) powered by a 3100 CC Big Boy Corvair engine, encased in a custom cowling. Dan named this feral beast “The Cleanex“, N183SX. The Cleanex first flight was on September 11th, 2005. Please find more information about the Cleanex below. 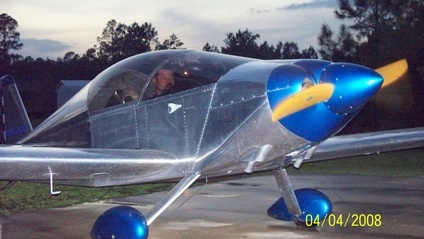 Even though Dan sold his Cleanex, N183SX the summer of 2010, we offer Cleanex nose bowl, engine mounts, intakes, engine cooling baffle kits and (of course) the 5thBearing. The goal was to find a reasonable performance alternative to the relatively expensive Jabiru 3330 engine endorsed by Sonex. While we believe the 3300 is a fine powerplant, a 15k or higher hit for an engine, compared with the investment of approximately 5k in the airframe, seemed out of proportion. The AREO-VEE 2180 is a great engine, and is a perfect choice for the budget minded builder. However – we really wanted more power, and liked the Corvair engine for many reasons. The FWF costs with the 3100 CC Big Boy Corvair engine was about $7,000. We spared no expense in the construction of the engine, including the increase to 3100cc, William Wynne’s oil pan, ignition, and front starter, using a certified ma3-spa carb, Fly5thBearing.com 5th Bearing,etc. The FWF weight is estimated to be about 220 pounds, similiar to a Jabiru 3300 powered tri-gear Sonex. Power at 3200 RPM is expected to be at least 110 HP. Total aircraft performance has met that of the Sonex with the 3300 Jabiru. Available now are Dan Weseman’s custom Cleanex parts for purchase. Each part is custom made at the time of order and have a 6 week lead time. We offer these parts due to demand, they work well and are cost effective for builders. We try to work quickly helping people with their Cleanexs. We do not want to create any drama in the Sonex community. We keep a fairly low profile on the web, but are here with parts and information to those wishing to build a “Cleanex”. These items are large, but light, and shipping can be expensive. Consider ordering all needed parts at one time to save on shipping costs. Please feel free to contact us for more details. See below for Sonex/Waiex/Xenos Corvair Engine Firewall Forward solutions. Hi, I love all of your offerings – thank you for bringing so much to sport aviation! I’m thinking of building a Sonex, and am wondering if the Sonex Corvair Engine Mount will fit the ‘B’ model? We do not offer a B model conversion at this time. I’m scratch building a sonex and thinking of using the corvair engine. Are drawings available for the cleanex mount? Thank you for any help. There are not drawings for a Cleanex mount, however we do offer them for sale. Please let us know if we can help.